Right-click the root Active Directory node and select Add database or switch to the Home tab and click Add Database on the toolbar. 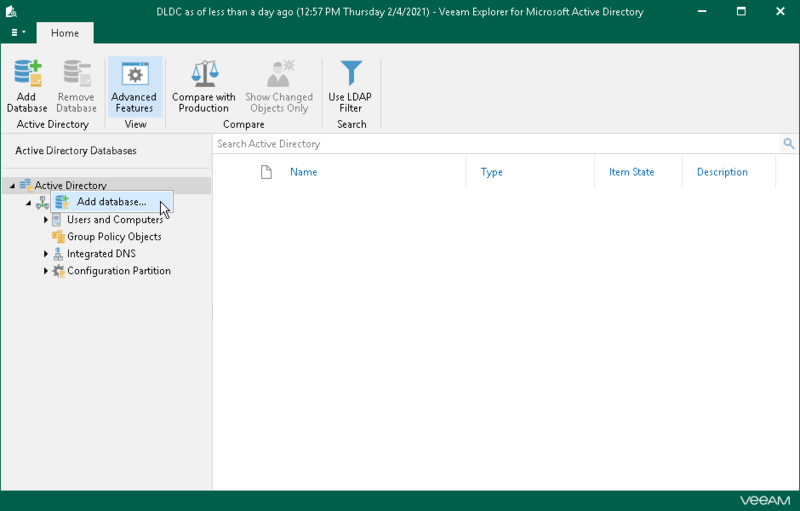 Specify the location of the Active Directory database file and folder that contains associated transaction log files (Edb.log and Edb.chk). By default, the Active Directory database file (NTDS.DIT) is located in the %SystemRoot%\NTDS directory. Make sure that the system registry hive is located in the same place.